Looking for a unique gift for your bridesmaids? Or a set of necklaces to complete their wedding day looks? 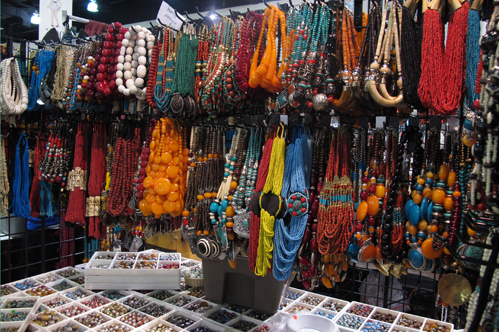 This weekend only, the Bead&Jewelry Marketplace is at the Wisconsin Center downtown, 400 W. Wisconsin Ave., and it’s free to get in. The Marketplace offers artisan-crafted finished jewelry, beads, gemstones, accessories and more. If you love shopping for jewelry, you don’t want to miss this event. Vendors from all over the world are sharing their favorite jewelry pieces that you can’t find anywhere else. Grab your girlfriends and get ready to shop! Visit www.shopbeadshow.com for more information and to print the free admission voucher.